Coin, the all-in-one credit card, hasn't even hit the market yet and it looks like it may already have some serious competition in the form of Plastc. We've been following Coin for some time now, but with deliveries being delayed until spring 2015, folks have lost some interest in the new card that was supposed to replace our credit cards. Now it seems a new company has taken several lessons from all of the complaints people expressed about Coin, along with the delay, to swoop in and introduce itself. 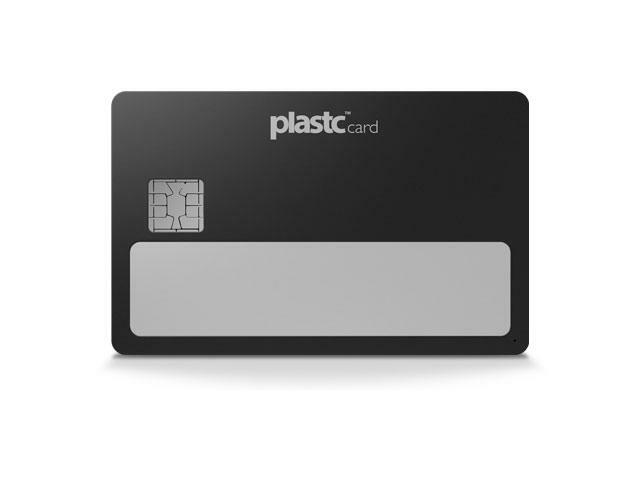 The latest credit card replacement tool to hit the world is called Plastc and not only will it store your credit cards for you, but also gift/loyalty cards and your work fob. All told it will store up to 20 different items and all of it will be accessible through an e-ink display where you can choose your card and enter a pin to access it. After the clerk runs your card it will then show your signature and a picture of you right on the card so they can easily identify you. It also includes chip and pin, something that Coin has said won't be available in its first version. Plastc will also play nicely with your phone in a couple of different ways. Not only will it keep track of your transactions, but it will also alert you if you leave your Plastc behind. If you do so, the card will lock and erase itself. Once you return to reclaim it, you can sync your data again and be back in business in no time. Now, for the bad news. Plastc is expected to ship in summer 2015, but you can pre-order it now for $155, which is $55 more than Coin. Considering the extra layers of technology in the device, it isn't too surprising, but one has to wonder how eager people will be to pre-order a device such as this again after the mishaps with Coin.